Any weight-lifters reading this blog? If you are trying to combine technology with your daily weight-lifting exercise, look no further. 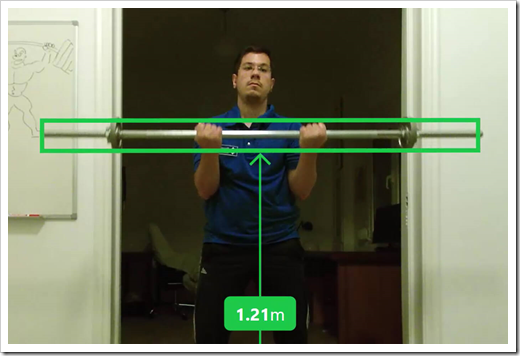 Today, I’ll show you how to recognize a weight-lifting bar and display its distance from the floor using Kinect. This way, you’ll be able to track your progress and check how great you are performing, day after day. Here is a video of what we are going to accomplish after finishing this tutorial — please keep in mind that I’m an engineer, not a body-builder! The heart of our algorithm is the BarDetectionEngine class. This class encapsulates all of the required details I’m going to cover below. I am not going to present the complete source code, since it’s more than 500 lines of C# code. I am rather going to explain the thought process and the logic behind the code. And, this is it, folks. You can explore the source code to see how I’m visualizing the bar and how I measure various other properties. The purpose of this tutorial is to showcase the power of processing raw depth frames using Kinect SDK v2. Well, not really. 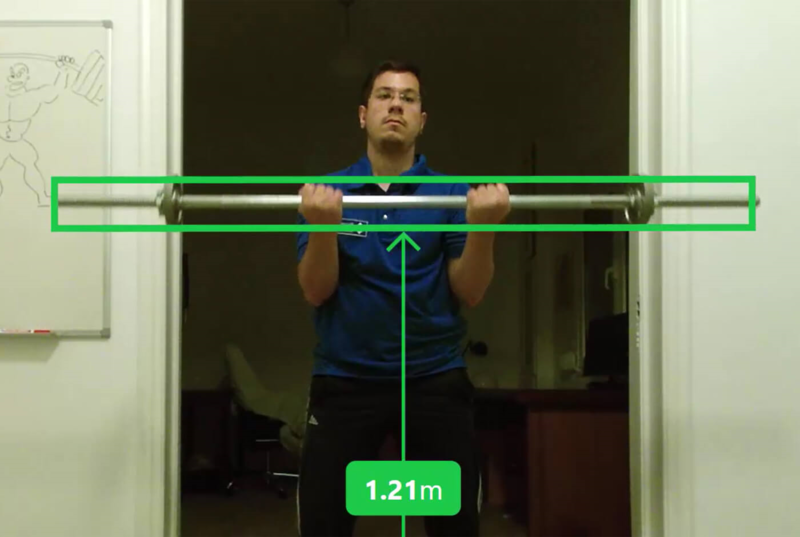 You do not need to have a weight lifting bar in your house or office. An ordinary broomstick would do the job just fine!